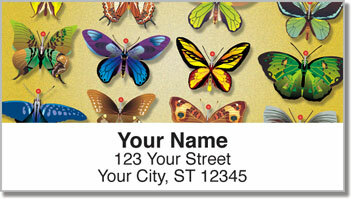 Vibrant illustrations of colorful butterflies will transform your mail from dull to dazzling - and no cocoon is needed. 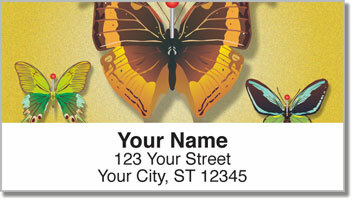 This design was inspired by a collector of butterflies. 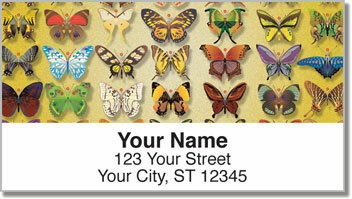 A wide range of spectacular specimens are displayed - showing just how diverse these amazing insects are. But what will really make your jaw drop is how easy the tiresome task of filling out envelopes will become. Just peel and place your new labels on every letter and package. They have a self-adhesive backing for extra convenience! 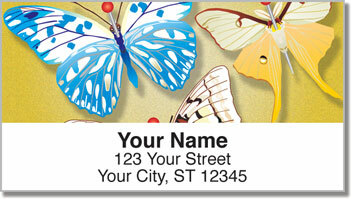 Order your very own Butterfly Collection Address Labels now! You can also get a set of matching personal checks.